Manicures at home are pretty much my specialty. I love doing my own nails, so much so that I have a regular old salon party every Sunday night with my ridiculous collection of OPI nail polish; I watch my stories and give myself a manicure and go to a super happy place before the week turns to madness. It’s a ritual I’ve had for a long time and I don’t feel quite right on Monday if I don’t have pretty painted nails. It’s just a thing, and we all have our things, don’t we? Well anyway. I always have my nails done, it’s just how I roll. But when I travel I hate to take nail polish with me unless it’s an emergency (sometimes I have, in fact, had nail emergencies, deal with it) so if I’m traveling for more than 5 days I like to get a shellac/gel manicure so I’m not stressing about chipped nail polish (a trashy look on me). Eventually though even a gel manicure starts to peel, taking the whole nail-bed with it, and the temptation to peel the manicure all the way off becomes too much for me (gel peels off like a sticker at the end of the manicure’s lifespan, taking most of the nail with it). At that point I have two options: go to a nail salon to have someone remove it for me, or do it myself. I’m a DIY kind of gal. That, coupled with the fact that gel removal costs money and that I end up with extra trashed nails at the salon, is incentive enough for me to do a DIY home gel / shellac removal. 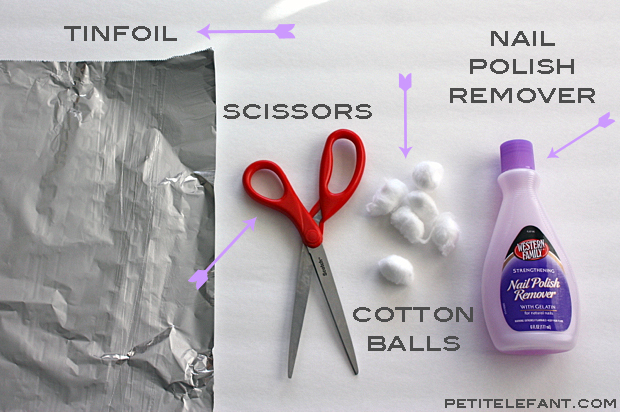 Using the scissors, cut two or three long strips of tinfoil vertically. 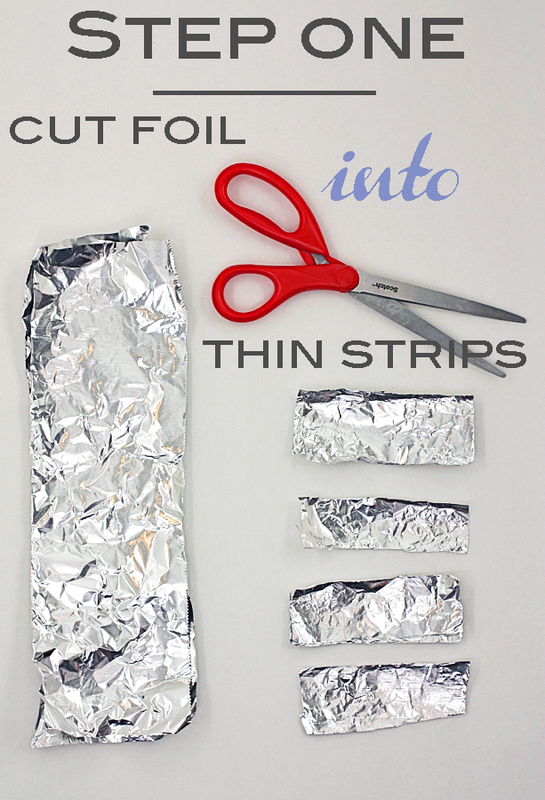 Then, cut the vertical strips into strips of tinfoil 1″-2″ tall by 4″ long. You’ll need 10 of those, unless you’re missing a couple fingers, in which case you just saved yourself some tinfoil. 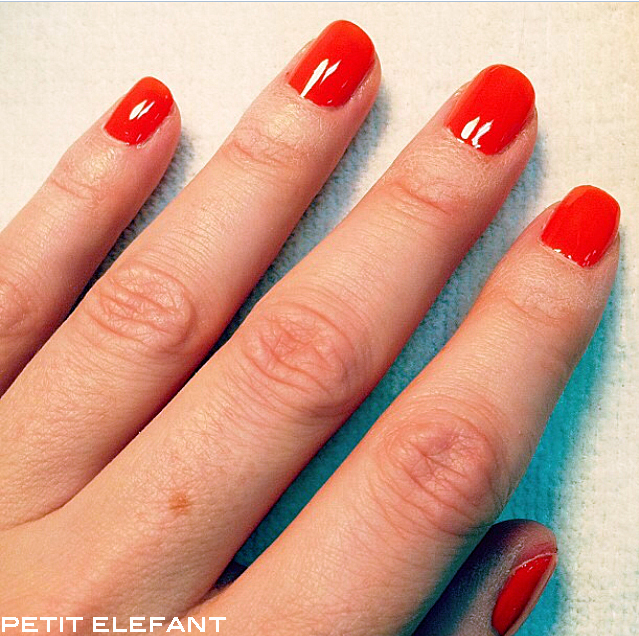 Soak cotton balls in nail polish remover and position them, one at a time, onto your nails. 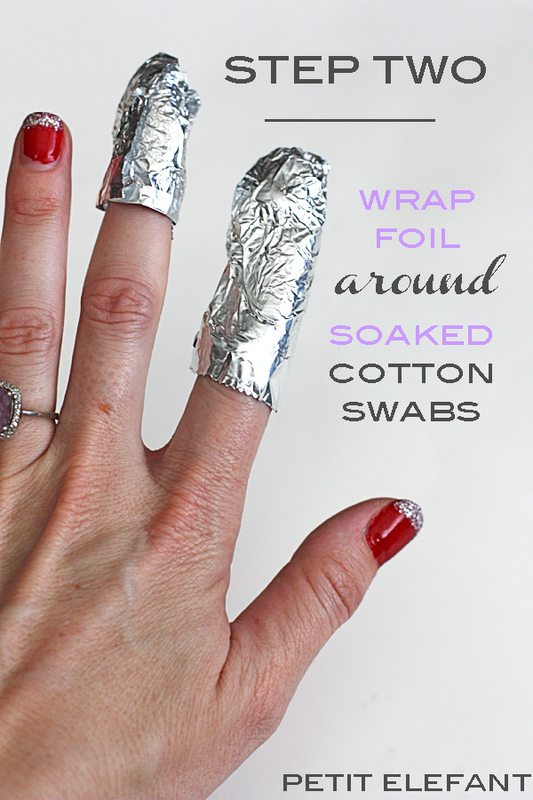 Then, wrap a strip of tinfoil around your finger until it’s nice and tight. 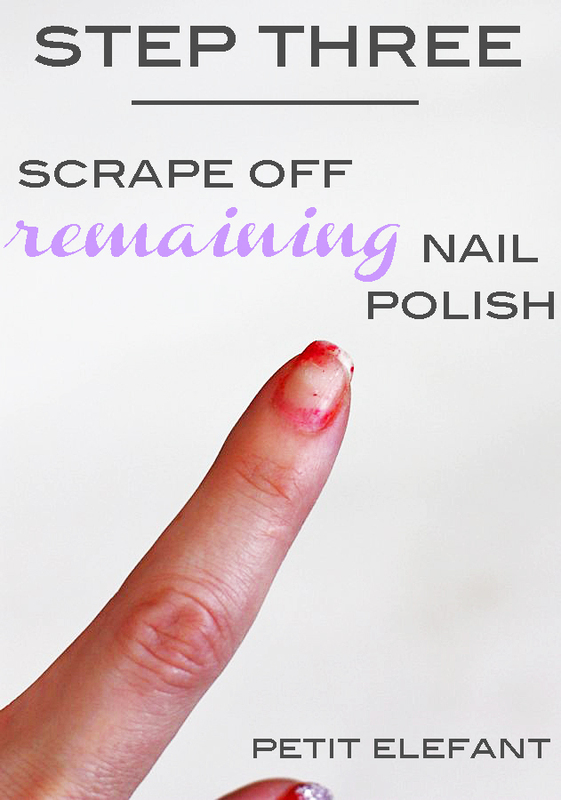 Repeat that 10 times and sit back to read a magazine because it will take 15-20 minutes for the acetone to soak your manicure off. 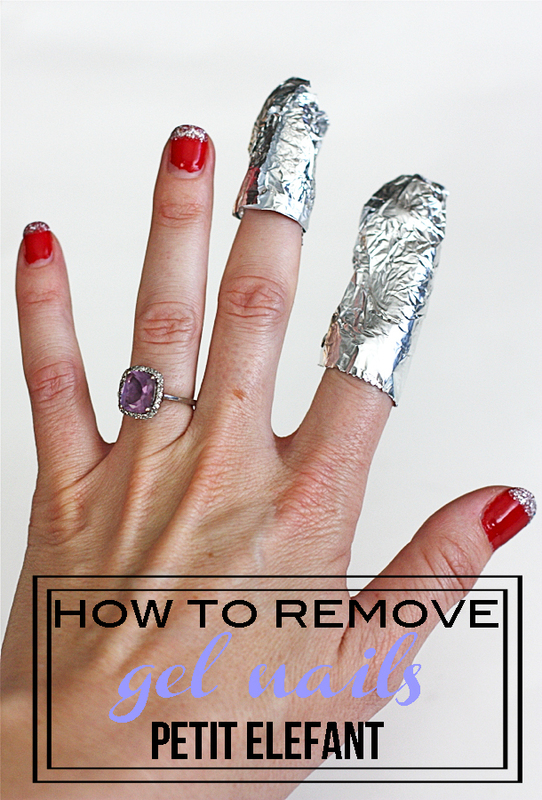 Lift the tinfoil when you think your nails are nice and cooked and the polish should look like this. Nice and crumbly, sitting on top of your nails. 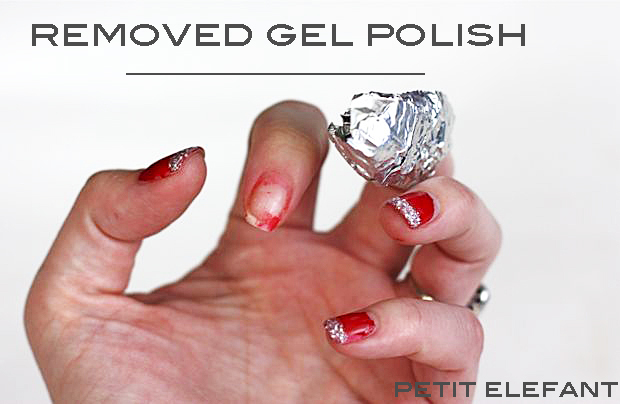 Gently scrape off the gel using an orange stick, if you have one, or whatever is handy. I usually use my nails. If you need to repeat step 2, do it. If not, just use more nail polish remover on a cotton ball to get the odds and ends. That’s it! 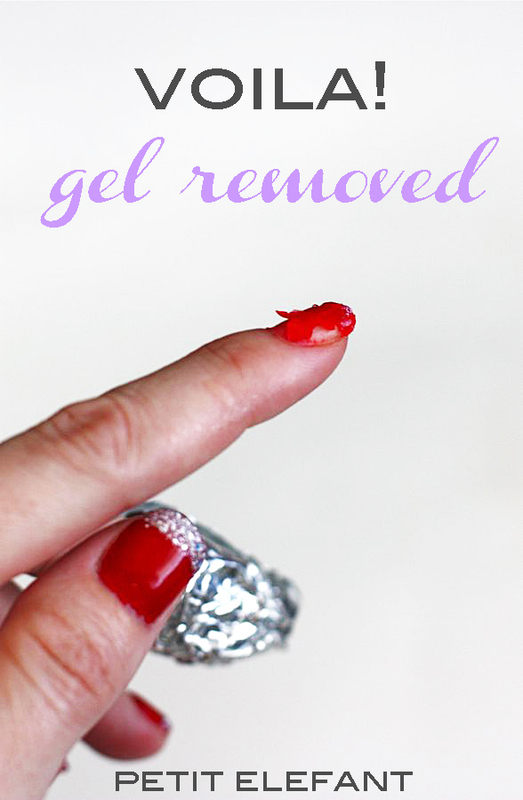 You’ve just done a DIY home gel manicure removal! Aren’t you clever? At this point I usually put on a couple layers of clear base coat / top coat polish just to give my nails extra strength until they’re ready for a new manicure. This also works great for glitter or the new (ish) textured polishes.